Students in the state of Ohio could potentially save $39.7 million annually on the cost of their textbooks, thanks to a new wholesale pricing deal. OhioLINK, a consortium of academic libraries across the state's colleges and universities, has secured agreements with four major textbook publishers — John Wiley & Sons, McGraw-Hill Education, Pearson and Macmillan Learning — to reduce the wholesale price of e-textbooks by up to 80 percent and courseware by up to 55 percent for member institutions. The wholesale pricing model was developed "to lessen variances in both institutional budgets and institutional readiness to implement inclusive access, a course content solution that gives students access to classroom materials from day one," the news announcement explained. The deal focuses on lower division courses with high enrollment and textbook titles widely assigned at Ohio institutions. "Service to students is our motivation, and making affordable learning easier for institutions is our goal. It's a price agreement and thus an opportunity for our members; it is not a mandate," noted OhioLINK Executive Director Gwen Evans, in a statement. "It allows institutions to do what they are already doing with inclusive access, only at a lower price. If they aren't doing anything with inclusive access yet, having a pre-negotiated and established model is an excellent incentive to get started. OhioLINK set the table; institutions, faculty and students will decide independently whether to join in and when." "The cost of textbooks has an impact on not only a student's overall college costs, but also the rate of that student's success. Knowing that, we have made reducing textbook costs one of our top priorities, and it's a primary way to make higher education more affordable for all students," commented John Carey, chancellor for the Ohio Department of Higher Education. (OhioLINK is part of the Ohio Department of Higher Education's OH-TECH consortium.) "This announcement from OhioLINK has the potential to positively impact thousands of students. 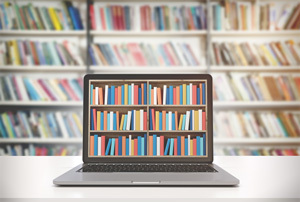 In addition, our higher education libraries have been leaders in other affordable learning initiatives such as open educational resources and alt-textbook programs, and OhioLINK is supporting those as well." OhioLINK member institutions will work directly with the individual publishers to participate in the wholesale pricing arrangement.